Police Entry Level SUPER Course! In 30+ Years - Thousands of our Clients Have Been Hired ... AND Promoted! Use Our eBooks, Tests and Assessments and YOU Will Be Hired in Law Enforcement - Way Ahead of the Competition - GUARANTEED! Normally 49.95 - For a LIMITED TIME - the SUPER Course is ONLY 29.95! Your Police Entry Level Super Course consists of the following ebooks, exams and bonus material. ALL proven to help YOU GET HIRED in law enforcement, way ahead of your competition. Also available separately is one-on-one coaching, teaching you everything you need to prepare for your police pre-employment oral boards! Brought to by retired Assistant Chief of Police Bill Reilly, and retired Lieutenant Paul Patti, who have nearly 50 years of combined police experience, including many years of experience writing police exams, assessments and oral board processes. They have both been directly involved in creating, supervising and managing their department's entry level applicant processing. Read the expert qualifications of Lt. Patti and Asst. Chief Reilly and you will see how they can help your chances to be hired in law enforcement! NO WAITING For the U.S. Mail - exams, books, desktop exams and assessments - everything is sent to you in return email! Take the ELPATA Assessment Exam and ALL our other POST Pre-Employment Police Tests for a full 90 days, along with the FREE Best-Selling Police Testing eBooks and Interview Audio Files and all the FREE and BONUS material shown below, a $300.00+ value all for a Special Price of ONLY 49.95 29.95 COMPLETE! "Confessions of a Hardass" - an insider's advice on passing your law enforcement pre-employment interview. by Lt. Paul Patti (ret) - 27 year command officer and published author. BONUS! The separate Workbook is now INCLUDED! Here is the book that only a 27 year veteran "insider" - command officer and "hardass" interviewer could write! I've conducted over 500 pre-employment police interviews - now you can receive the revised and expanded 4th Edition of my copyrighted ebook - Confessions of a "Hardass" - An insider's advice on passing your law enforcement interview- designed to reveal what law enforcement managers are looking for in today's police applicant. This police book is filled with solid background information specifically designed to help you pass your law enforcement pre-employment oral board, panel interview, B-PAD or Law Enforcement Assessment Center. 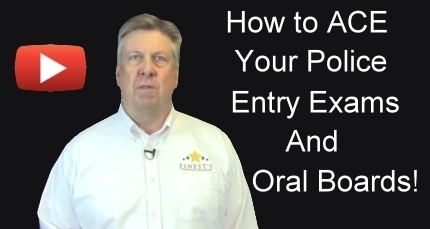 How to best prepare for your police entry-level oral interview. How to learn from EVERY interview - and become better with each one. Learn the specific technique to score as high as possible by just your 1st or 2nd police interview. Learn exactly what the interviewers are trying to accomplish - this will help you understand their methods and questions and score higher! The best introductions and closings - and how to make the board members remember you above all the other candidates being interviewed. Dealing with scenario, stress, no-win and ethical dilemma questions. How to tell the truth about bad situations in your background - in the least damaging way. Answers to the 10 questions most often asked by law enforcement applicants about their pre-employment interview. Get a jump on your competition! 10 sample scenario - ethical dilemma - no-win and stress questions with suggested answers! 15 sample background and personal information questions with suggestions for practicing and improving your responses. The perfect partner to "Confessions of a Hardass"
Complete listing with definitions of the Character Traits most often being tested and probed during police oral interview panels. You need to understand what concepts you are being rated on! 50 additional samples of difficult scenario, stress, background, no win and ethical dilemma questions and suggested answering guidelines. Score sheets for a family member or trusted friend to fill out and review with you! Specific suggestions to IMPROVE those areas you may be weak in. The 6 Personal Characteristics being measured by stress, ethical dilemma and no-win questions - LEARN WHAT THE POLICE INTERVIEW BOARD IS LOOKING FOR! The 7 Answer Characteristics that will LOSE POINTS on stress, ethical dilemma and no-win questions - Know What To Plan For - Know What To Avoid! The 10 deadly errors that will send your cover letter and police résumé right to the garbage can. The 10 specific qualities that your law enforcement résumé MUST HAVE to GET YOU NOTICED, GET YOU THE INTERVIEW and most important - HELP YOU PASS THE INTERVIEW! The CORRECT FORMAT for an eye-catching Marketing Style résumé - PROVEN HUNDREDS OF TIMES TO BE THE ONLY PROFESSIONAL FORMAT THAT WILL OUTSHINE YOUR COMPETITION! Includes 6 ACTUAL JOB-WINNING SAMPLE Marketing Style Résumés and Cover Letters for you to build your own winning police résumé package. Includes law enforcement entry-level, promotional, lateral-entry and Chief of Police résumé samples. Available only here, you'll take our exclusive, copyrighted, ELPATA - the Entry Level Police Applicant Testing Assessment - and you'll Learn 130 of the Most Difficult Questions You Will Face in your Police Written Test, POST (National Police Officer Selection Test) B-PAD, Polygraph, Oral, Psychological and Background Portions of Your Pre-Employment Police Testing - and How You Are Expected to Answer! Learn your WRONG ANSWERS and YOUR WEAK AREAS - the reasons an agency will NOT WANT TO HIRE YOU AS A POLICE OFFICER OR DEPUTY SHERIFF - then MAKE CORRECTIONS and FOCUS YOUR STUDY! Don't Become the Victim of a "Bad" Police Hiring Decision! You'll find out exactly what law enforcement agencies want to know about you, BEFORE they decide to hire (or NOT HIRE) you as a law enforcement officer! They will learn things about YOU that YOU DON'T EVEN REALIZE - and WHAT THEY LEARN COULD STOP YOUR CHANCES OF EVER ENTERING POLICE WORK! 6. "Not Public - People Oriented"
8. "Risk for Job Failure"
1. Law Enforcement Word Usage and Reading Comprehension - this computerized police test has 100+ of the most difficult law enforcement words, phrases and concepts and their correct spellings and uses. Excellent practice for the National Police Officer Selection Test (POST) and other local and state written exams. 2. Police Policy, Law and General Knowledge - this computerized police test has 100 difficult questions that prepare you to answer rapidly and intelligently about all aspects of modern law enforcement policies, laws and general knowledge. Speak to personnel officers and oral boards like you have a degree in Criminal Justice! 3. Law Enforcement Map Reading and Directional Orientation - this computerized police test has 50 difficult questions to prepare you for any police map reading exam included in the National POST or any local or state police exams - includes maps to study and refer to as you answer the questions and receive your certificate of completion! 4. Law Enforcement Feature Recognition and Critical Memory Skills - this is one of our toughest computerized police tests - but it thoroughly prepares you for police memory exams you will encounter on the local, state or national police entrance exams. Study 50 photos of people and situations common to law enforcement and then answer 100 questions - take the exam as often as you like. 5. Law Enforcement Math and Numerical Problem Solving Skills - this police test has 50 of the most difficult law enforcement math questions and problems you are likely to face! Practice over and over again for this very difficult segment of the National POST or many local and state police exams. FREE and Bonus Items! Links to download all this police entry level testing and study material will be sent to you after you enroll. FREE eBOOK - "Deadly Mistakes Police Applicants Make" - Learn to recognize and avoid the mistakes that can KILL your police employment chances! Teaches YOU how to avoid the most common errors made over and over again by UNSUCCESSFUL police applicants. NOW with an expanded section on Passing Your Police Pre-Employment Polygraph Exam - INCLUDING the 16 "relevant" polygraph questions asked of ALL law enforcement pre-employment applicants! Information on how the police employment polygraph works, what examiners are looking for, "false positives," polygraph countermeasures, how to successfully challenge false polygraph results and other issues concerning this very important police test! This FREE eBOOK covers all the points in the pre-employment testing where police applicants make these deadly errors - including planning and preparation, the police employment application, polygraph, psychological, police interview and background exams - and how they fail to achieve their police employment goals. Most of all - how YOU can avoid making these deadly mistakes! NOW INCLUDING A SPECIAL SECTION - Preparing for the National Police Officer Selection Test (POST) given by police departments around the nation! You will learn the 8 Critical Skill Areas recommended for study if you are taking the POST along with other important information and hard-hitting, practical suggestions and resources on how to SCORE YOUR BEST! FREE - Take the POAJS Exam - FIND OUT NOW if you will be REJECTED! Take the "Police Officer Authority, Judgment and Suitability" assessment and score yourself and see the results TODAY - without delay. This short and self-scoring police assessment exam comes with its own scoring procedures and directions for you to score it yourself. The POAJS exam quickly rates your decision making ability, your aptitude for following and enforcing laws, rules and authority and your overall suitability for law enforcement - testing how well you come across to other persons - coworkers and citizens. This police exam will give you a private, honest look at your suitability for law enforcement work and will guide you to make changes to your approach if necessary in order to improve your scores and make yourself a better police recruitment candidate! Practice ACING YOUR LAW ENFORCEMENT INTERVIEW using your car CD or your iPod / MP3 player! You will download A FULL HOUR of CD or MP3 Audio files containing 75 of the toughest Scenario, Stress, Background, No-Win and Ethical Dilemma police interview questions you are likely to face in your police Oral Interview or B-PAD! You can burn a CD or load up your iPod or MP3 player and listen to the questions one at a time, pause the player and PRACTICE GIVING YOUR RESPONSES - ANYTIME - ANYWHERE! FREE with your Law Enforcement Pre-Employment Testing Course. Be like one of our many other clients, some quoted on the right column, that have been hired by a police agency, then went on to use our Police Promotion Testing Course - and get promoted to Corporal, Detective, Sergeant, Lieutenant and all the way to Chief of Police! At PoliceCareer.com we are proud of the many men and women we have helped since 1985 - to get hired, and then promoted, in law enforcement. Security and Privacy: We insist on total security and privacy. Look for the lock in the address bar. We have earned the McAfee SECURE certification. Your email and all your information stays private. No waiting for the U.S. Mail. You will receive instructions in your email on how to download your police entry exams and the included ebooks and bonus material! Since 1985, we've helped people just like you get hired and then Promoted in law enforcement! hired by what policepay.com considers to be (at my time of employment) the top paying police department in the country. only police department I had ever applied to. I was one of seventeen people hired out of the 1,000. The investment in the package was well worth the pay off. 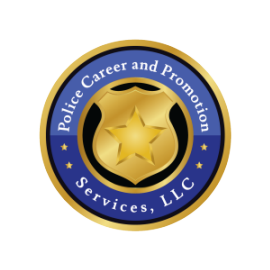 The services provided by PoliceCareer.com are a hidden treasure." Nick Monreal, of Arlington TX - quoted with permission. "Just a note of thanks. After reading your materials I passed my first interview. For each interview I carefully reviewed your materials and felt my confidence grow. I had an edge thanks to you. I have now been offered (and accepted) unconditional employment and start this Monday." "I would like to thank you for aiding my preparation in becoming a police officer. If you recall, I sent in the ELPATA - you scored and prepared an analysis for me which I truly feel was a tremendous help. I am happy to say I will enter the police academy in February. THANK YOU POLICECAREER!!" Your book, "Confessions of a Hardass", has been an incredible help to me. I live in Las Vegas, and I tested for Las Vegas Metropolitan Police Department last year with little success. But after I received your book, and put its principles to use, I scored a 97 on my very first oral board (with Henderson PD). I then scored a 94.6 on Metro's B-PAD, and a 96 on their oral board. I am currently on both Department's hiring lists near the very top (Fourth with HPD, and Eighth with Metro). This last week I received conditional offers of employment from both departments. I owe my success to you and your book. Thanks for helping me prepare and pass those interviews." "I purchased your "Confessions of a Hardass" and the workbook and received it the night before my first oral board. I read over it and the questions several times and today I passed the board on my 1st attempt. I don't think that would have been possible without your help." Thanks for offering your "Confessions" book and the workbook and sample questions. I studied them religiously, and took my first oral boards last week....all scenarios....and got a very high score!! Thanks again! I will refer others to you in the future!" "I have received your Entry-Level Police Applicant Testing Assessment answer analysis that you prepared for me. I was very impressed with your evaluations of my answers and I intend to pass your information along to my friends who are also in the testing process for various law enforcement positions. Thank you again, it was money well spent!" "I am mailing you to let you know how helpful your book, "Confessions of a Hardass" (and the sample questions), were to me. I practiced and practiced all your sample questions, I even followed your guidelines and video taped myself a few times to watch my mannerisms and eye-contact. Then as you suggested I graded myself via your grading guidelines and had my wife do the same. This technique prepared me so well that I wasn't the least bit nervous and was able to come up with answers to the board's questions almost as soon as they had finished asking the question. The best part of all is that I passed my interview on the first try and all I have left is my background check and the MMPI. I can't thank you enough for all the help your books gave me. Thanks again for the help and your time." "Confessions of a Hardass made all the difference to me. I passed my oral interview the first time out! Many of the sample questions in the book were questions I was asked in my interview. The book also helped my self confidence during the interview since I had an idea what to expect going in. I have recently received an offer of employment by that same police department. Many thanks to PoliceCareer.com!" "Just a brief note of gratitude for your insightful book "Confessions of a Hardass." I purchased this book a few weeks ago and thoroughly read it, took notes and put into practice many of its suggestions. Seeing what things are like from the interviewers' side really opened my eyes, and while I have achieved high scores on oral PD interviews before, never was one so important as this present interview was. Thus, with a lot a personal preparation and help from your publication, my interview went almost perfect and I was appointed a position with an Ohio Police Department. Once again, thanks - your book was the best investment I ever made."